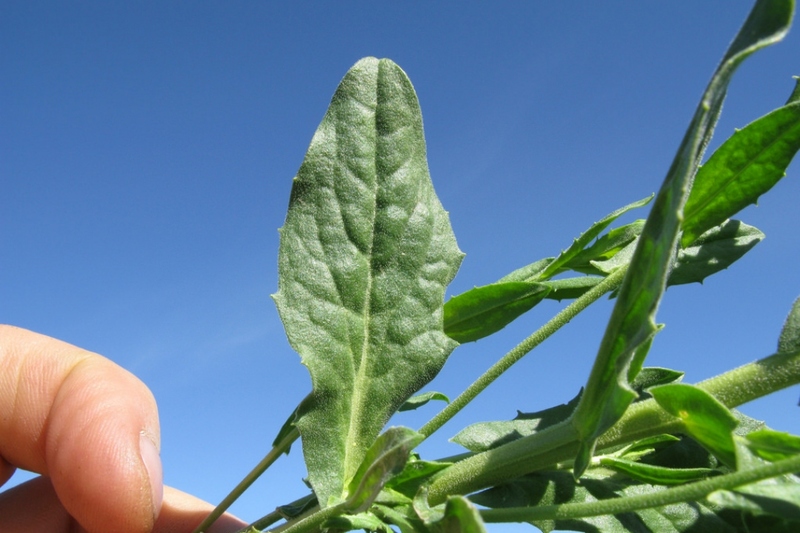 Whitetop (Lepidium draba): identify and learn about your plants with Groww. A perennial, native to western Asia and southeastern Europe and an invasive species in North America, introduced by contaminated seeds in the early 1900s. Also known as Cardaria draba, hoary cress is a weed in much of south-east and south-west Australia as well. 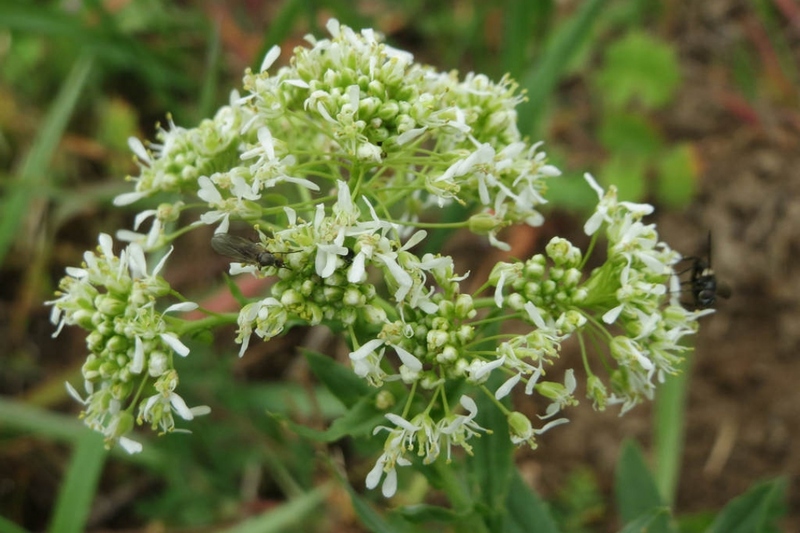 Lepidium draba - whitetop or hoary cress - is a rhizomatous perennial flowering plant in the cabbage family Brassicacea, native to western Asia and southeastern Europe and widely introduced elsewhere. 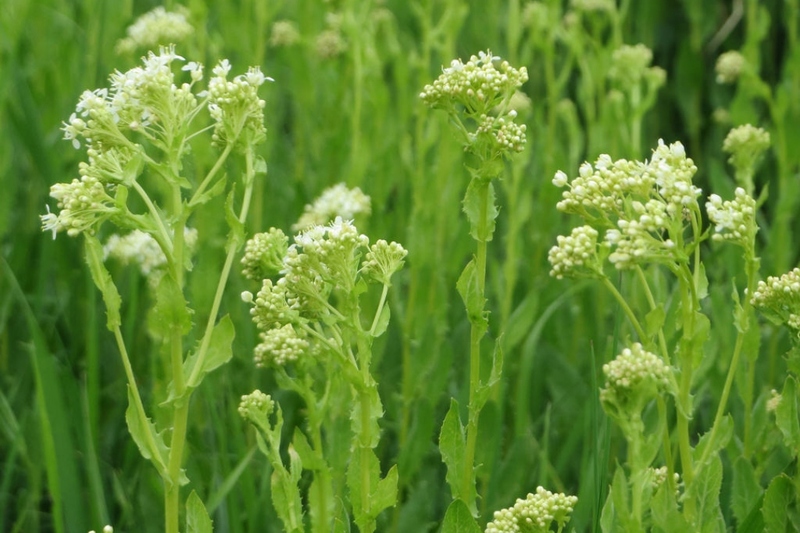 Whitetop is a perennial herb, its stem is stoutish, erect or spreading, 10 to 80 cm tall, branched, covered sparsely with ash-colored soft hairs to heavily covered. Leaves are alternating, simple, and mostly toothed. 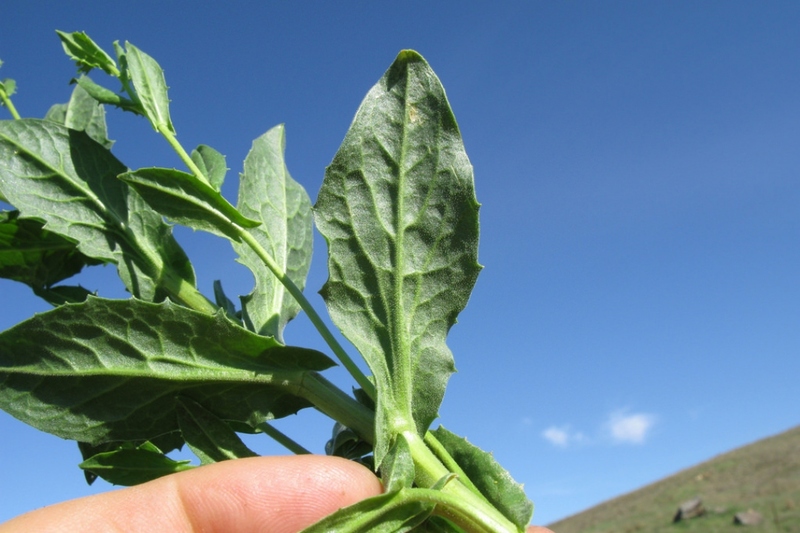 Basal leaves are 4 to 10 cm, have a slight stem (petiole), and are long and flat, lance-shaped to egg-shaped, with the narrow end attached to the stalk. On the upper part of the stem the leaves are attached directly to the stalk (sessile), are 2 to 6.5 cm long, and are oblong or tapering the point, with broad bases that clasp the stalk. Whitetop has slightly domed flower clusters in which the individual flower stalks grow upward from various points off the branch to approximately the same height (corymb-like). The petals are white, clawed, and 3 to 5 mm long, about twice the length of the sepals.